Brushed EP stainless steel frame with HPL table top and extension .Extends from 240cm to 320cm. Seats 12. 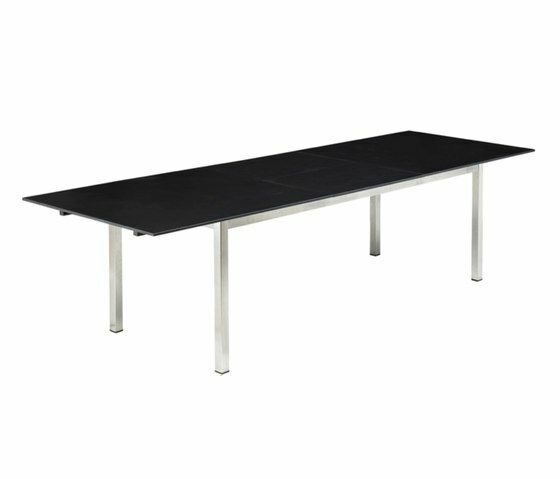 Dimensions: W100 H75 L320 Product colour: Frame: stainless steel HPL table tops option: white/black Glass table tops option: russet / slate Size options: W75 L75 H74 / W90 L90 H74 / W90 L180 H74 / W101 L210 H74 / W100 L320 H75 / DIA90 H74 Table also available with glass top, except for W100 L320 variant.